Kindle FreeTime - First off, I recommend utilizing Kindle FreeTime when letting your kids use the Kindle. Using FreeTime allows you to control which apps and books they can use, so you don't end up losing your place in your book as your four year old flips through it or end up paying for something she bought, say a $14.99 movie. I've been there! (Obviously.) Now I know better and use FreeTime! It also allows you to control how long they use it and they can each have their own separate profile. It comes pre-installed on the Kindle Fire so you just have to find it and set it up - there is an option to do Kindle FreeTime Unlimited (a $2.99 a month subscription service that provides age appropriate books, games, and apps for your kids) but we've never tried it. Starfall Learn to Read - Starfall is one of my kids favorite websites and this is probably their favorite app. It offers all of the content from Starfall.com's Learn to Read section, which is chock full of funny videos, stories, games, and songs to teach letter sounds and words. Starfall All About Me - Another app from Starfall, this one lets the children make their own character to look just like them (or entirely different!) while learning vocabulary words in various rooms and about different subjects. iStoryBooks - A great read along app with wonderful sound/narration - offers many different downloadable books, some free, some cost. New books are added every two weeks. My kids really enjoy listening to stories on this, especially when we're in the car or during our reading time. I think we've got about 15 different free stories on there at the moment. BT Handwriting Free - There is a paid version of this app but we currently only have the "free" version. It very simply teaches correct formation of letters and numbers, while saying letter sounds & names. It's nice for my daughter who is learning her letters and numbers right now to have another medium to practice on. Abby Sight Words Games & Flashcards, Vol. 1 - We only have the "Lite" version of this app but I will probably get the full version as well since my kids enjoy it so much. They learn sight words from the Dolch word list by playing six different educational games - Word Machine, Spelling, Bingo, Gears, Memory, and Flashcards. (Two are available on the Lite version.) The kids also make their own avatar to save their games under. SpellingCity - I love the VocabularySpellingCity website so when I found out they had an app I downloaded it right away. 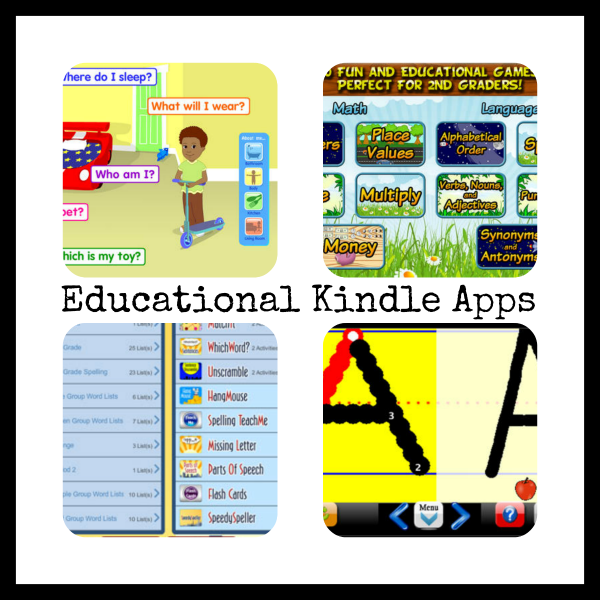 The app offers a variety of different games (Spelling TestMe, HangMouse, TeachMe, Sentence Unscramble, Word Unscramble, Missing Letter, Alphabetize, and Audio Word Match) for use with a few supplied spelling lists. You can get a Mobile Pass or Premium Membership to use the gazillions of lists from VocabularySpellingCity or to open up additional activities. Math Practice Flash Cards - Simple flash cards for kids to practice their math skills on. Has four different available sets and gives option for parent to create their own different sets featuring different numbers, operations, etc. 2nd Grade Learning Games Free - I'm just listing the 2nd grade one but the developer of this app has also made similar apps for preschool up to sixth grade that I'd recommend checking out - you can see them all HERE. The games are very fun and cover essential skills for each grade. The free second grade version comes with 3 games - numbers, place values, and alphabetical order. A paid version is also offered and includes spelling, time, multiply, verbs/nouns/adjectives, punctuation, money, and synonyms and antonyms. 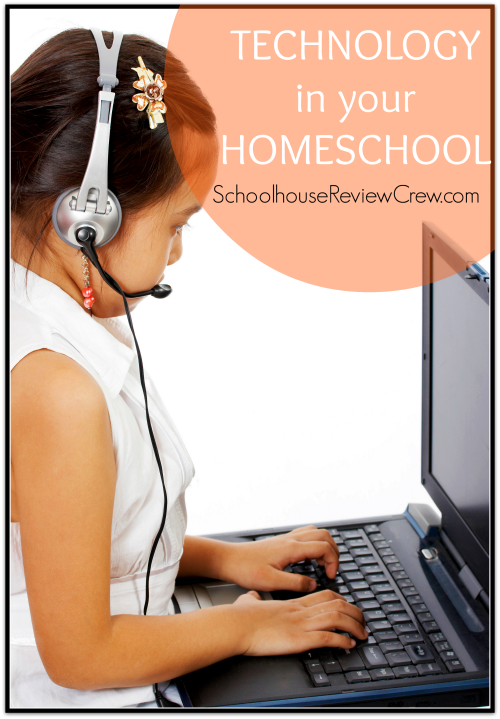 I've also linked up with the Schoolhouse Review Crew's Carnival on Technology in Your Homeschool! Click the picture below to see more posts on that subject.